By the end of the 2019 calendar year, Hyundai will offer four crossover SUV models of various shapes and sizes. Among them, the 2019 Tucson will be the oldest design, but that doesn’t mean it is past its prime. 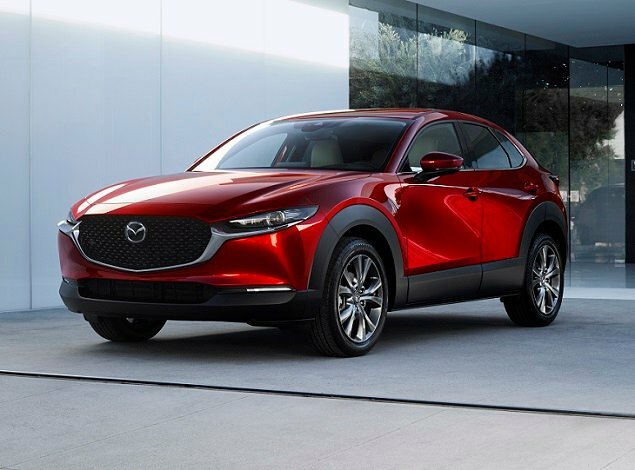 In fact, subtle yet effective updates for the 2019 model year make it well worth consideration in one of the hottest and most competitive segments in America. In addition to cosmetic changes, the 2019 Tucson is equipped with standard SmartSense safety features as well as Apple CarPlay and Android Auto. One step up on the trim level ladder, the Value Edition adds more safety and infotainment upgrades as well as desirable comfort and convenience features. From there, SEL trim infuses the Tucson with more power, additional driver-assist functions, and bigger wheels. Sport trim installs a sportier look and a premium sound system, while Limited trim equips the Tucson with leather seats and upscale interior materials. Ultimate trim provides all the extras, including navigation, adaptive cruise control, panoramic sunroof, ventilated front seats, heated rear seats, and more. For this review, we evaluated a 2019 Hyundai Tucson Ultimate equipped with all-wheel drive (AWD) and extra-cost floor mats. The price came to $34,120, including the $1,045 destination charge. Before we discuss the results of our evaluation of the 2019 Hyundai Tucson, it’s helpful to understand who buys this small SUV and what they like most and least about it. More women than men buy small SUVs, with 59% of Tucson buyers identifying themselves as female compared with 57% across the segment. Tucson buyers are also older (median age of 60 vs. 53) and enjoy slightly lower annual median household income ($78,833 vs. $81,709). Aside from the fact that Hyundai Tucson buyers are less likely to agree that they prefer to buy a vehicle from a domestic company (42% vs. 52% at the segment level), they differ in several ways from small SUV buyers as a whole. For example, Tucson buyers are less likely to agree that a first consideration when choosing a new vehicle is fuel economy (68% vs. 72%), and they are more likely to agree that they like a vehicle with responsive handling and powerful acceleration (89% vs. 85%). Tucson buyers are more likely to strongly agree that they’re willing to pay extra to make sure their vehicle has the latest safety features (34% vs. 25%). Meanwhile, they’re less likely to agree that they need a versatile vehicle for a busy lifestyle (81% vs. 84%), that a vehicle is just a way of getting from place to place (42% vs. 47%), and that their friends and family think of them as someone who knows a great deal about autos (44% vs. 50%). Buyers say their favorite things about the Tucson are (in descending order) the exterior styling, driving dynamics, interior design, seats, and visibility and safety. Buyers indicate their least favorite things about the Tucson are (in descending order) the storage and space, infotainment system, climate system, engine/transmission, and fuel economy. Tucson buyers say their favorite thing about this SUV is the styling, so it’s a good thing Hyundai didn’t change the 2019 version much. The headlights, taillights, grille, bumpers, and wheel designs are new. And Hyundai wisely elected to skip the visual drama evident on its other SUVs. Equipped with the top-level Ultimate trim and a Beige leather interior, the test Tucson’s interior looks terrific. Not only that, everything in the cabin feels super-glued together, and even the hard plastics feature a low-gloss, nicely textured surface that isn’t slippery. Better yet, if you rap on them they don’t feel flimsy or hollow, and the shifter feels especially robust when you use it, an important detail to get right because it's a component that the Tucson’s buyer will use every single time he or she drives the SUV. It is worth noting that all trim levels without leather seats are available with Yes Essentials stain-resistant fabric. But, you must choose Beige or Gray in order to get it. This material is perfect for people who have kids. My test vehicle’s Ultimate trim included a huge panoramic sunroof with tinted glass that extends all the way back, beyond the rear passenger’s head and nearly to the top of the rear hatch. My own kids really enjoyed this feature, which gave them a panoramic view of their surroundings. As much as my children enjoyed riding in the Tucson’s back seat, when I crawled back there I felt like I was sitting too low in relationship to the side glass. Also, the hard plastic front seatbacks were unkind to my shins, forcing me to splay my legs a bit to avoid this unpleasantness. On positive notes, the Tucson’s bottom seat cushion provides good thigh support, air conditioning vents help to keep occupants cool, and there is a USB port for the rear passengers. Up front, comfort levels are high. Both of the Tucson Ultimate’s front seats are power-adjustable, and the front passenger’s seat includes a height adjuster. The steering wheel is pleasing to grip, too, and Hyundai uses soft material on the places where you’re likely to rest your elbows. During my time with this SUV, I made a 10-hour round-trip visit to the Monterey area and experienced no long-distance discomfort. The Tucson’s four most expensive trim levels include a dual-zone automatic climate control system with a Clean Air ionizer. That’s just one of many surprise-and-delight features of this SUV. Heated front seats are included on all Tucsons except the base SE trim. Limited and Ultimate trims equip the SUV with a heated steering wheel, while the Tucson Ultimate has ventilated front seats and heated rear seats. Any Tucson with AWD also gets a wiper de-icing system, another thoughtful touch. Unseasonably cold weather, especially on my road trip, put the seat heaters to good use. However, with testing taking place in coastal regions of California, the heated steering wheel and de-icing system were unnecessary. Hyundai does an excellent job with its infotainment systems, and the Tucson is no exception. Equipped with a 7- or 8-in. 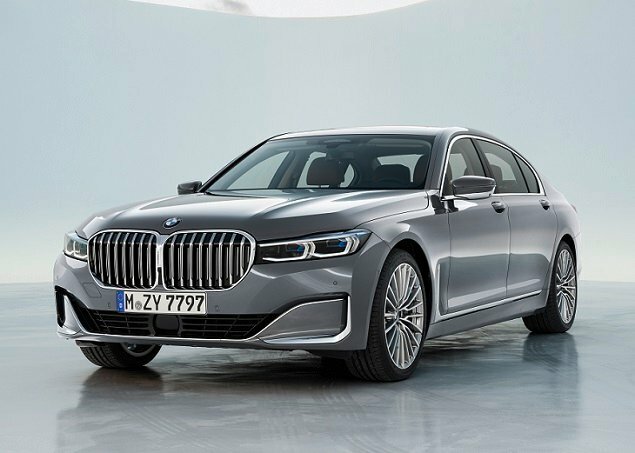 touch-screen display, menu shortcut buttons, and knobs for controlling primary stereo functions, the infotainment system sits above the dashboard’s center air vents, where it is easy to see, reach, and use. Furthermore, all 2019 Tucson trim levels except the base SE version now include Blue Link connected services, and both the Connected Care and the Remote service packages are free for the first three years of ownership. That means you have SOS emergency calling, automatic collision notification, remote access to some vehicle functions, stolen-vehicle recovery and slow-down, enhanced roadside assistance, and safe teen driver alerts related to speed, curfew, and geographic boundaries. Given Hyundai’s generosity with Blue Link, it’s almost silly for me to complain that my Tucson Ultimate test vehicle’s Infinity premium sound system did not sound as premium as expected. Hyundai provides plenty of storage space aboard the Tucson. If there’s a reason to complain, it’s related to the wireless smartphone charging pad, which resides at the bottom of a storage bin and can’t be used if you’ve filled the bin up with junk. A separate shelf for the charger would be a better solution. Around the back, Hyundai’s Smart Trunk hands-free tailgate is standard with Sport, Limited, and Ultimate trim. It is both a blessing and a curse. When you approach with your hands full, it is a blessing because it opens without requiring you to balance on one foot while waving the other one around under the bumper. It is a curse, though, if you simply stop behind your Tucson while wrapping up a conversation and the SUV starts beeping in advance of the tailgate rising toward the sky. Once it’s open, the Tucson offers 31 cu. ft. of cargo space. That’s not as much as several of this Hyundai’s competitors, but is nevertheless useful for a family of four. Fold the rear seat down to maximize volume at 61.9 cu. ft., which is far less than what you’ll find in the best-selling models in this segment. Thanks to the power- and height-adjustable front seats, combined with fairly unobtrusive windshield pillars, it’s easy to see out of the Tucson. All trim levels also have a reversing camera, and the Limited and Ultimate trim levels include a surround-view monitoring system. These features help to make up for the SUV’s small, upswept rear quarter windows and thick rear roof pillars. Hyundai steps up the Tucson’s safety game for 2019, adding plenty of driver-assistance and collision-avoidance technology to the base SE and affordable Value Edition versions of the SUV. My Tucson Ultimate test vehicle had it all, including an adaptive cruise control system with stop-and-go capability. Adaptive cruise is great for road trips, and I was using it as I drove on California 101 through the Paso Robles area. Here, the road has curves as it winds its way through the region, and as I approached one of those bends while traveling in the left lane, the Tucson suddenly and unexpectedly slammed on its brakes. Luckily, there was nobody behind me. What happened? I was about to pass one of those big, mirrored tanker trucks. When the slow-moving truck, traveling in the right lane of the freeway, entered the curve, the Tucson identified it as an obstacle and engaged the braking system. This was not the only time that the Tucson’s adaptive cruise control did something unexpected. And this kind of behavior is not limited to this vehicle’s technology. I’ve experienced similar software miscalculations in a wide variety of modern vehicles from many different brands, and in some cases the technology that is supposed to prevent a collision has actually almost caused one instead. Speaking of crashes, if one does happen, know that the Tucson is highly rated for its ability to protect you and your passengers. The Insurance Institute for Highway Safety (IIHS) gives it a “Top Safety Pick” rating, while the federal government gives it a highest-possible 5-star overall rating. Due to customer complaints, the 2018 model’s turbocharged, 1.6-liter 4-cylinder engine is dropped from the 2019 Tucson lineup. The problem, evidently, was that engine’s dual-clutch automated manual transmission. People didn’t like it, which could be one reason that engine/transmission rates so low with Tucson buyers. That leaves a standard, 161-horsepower 2.0-liter 4-cylinder in the SE and Value Edition trims, and a 181-horsepower 2.4-liter 4-cylinder in all other versions of the Tucson. Each engine is paired with a 6-speed automatic transmission with front-wheel drive; AWD is an option. 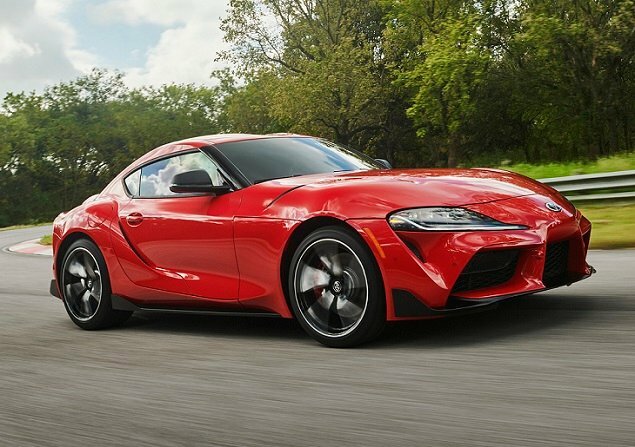 The other explanation for why engine/transmission rates fairly low could be that even the more powerful 2.4-liter is merely adequate when it comes to motivating the 3,732-lb. Tucson Ultimate with AWD. Remember: Tucson buyers are more likely than the typical small SUV buyer to prefer a vehicle with powerful acceleration. Switching to Sport mode helps add some liveliness to accelerator response, and you can even try manually shifting the transmission, but neither effort produces enough zing to put anything resembling a smile on your face. If you’re looking for a zippy little crossover SUV, try the Tucson’s closely related cousin from Kia, the Sportage. In SX trim, the Sportage gets a 240-horsepower turbocharged engine whipping up 260 lb.-ft. of yummy, delicious torque. In other words, it’s quick. The Tucson? Not so much. Given the lack of power, you’d expect decent fuel economy, but that’s not the case with the Tucson. The EPA says the 2.4-liter 4-cylinder, paired with AWD, will get 21 mpg city and 26 mpg highway, for a combined average of 23 mpg. During five days of local driving, the tested Tucson returned 22.5 mpg. During a 600-mile road trip, it averaged 25.4 mpg. At least the real-world numbers match the expectations set by the EPA ratings. People love SUVs, but because they’re typically heavier and less aerodynamic, they simply aren’t as efficient as cars. They also don’t handle as well, in part due to the weight, and in part due to their higher center of gravity. Drive a Tucson back-to-back with a Hyundai Elantra or Sonata and you’ll see what I mean. The Tucson feels a little tall and tippy, bouncing and rolling along an undulating mountain road, while the traditional sedans feel snugged down and sporty. Still, as small SUVs go, the Tucson is fairly nimble. The brakes are excellent, with a perfectly calibrated pedal. And while the steering isn’t going to wow you with telepathic communication, it is accurate and the SUV tracks straight and true on the open road. At speed, the Tucson suffers a fair degree of road noise on anything but new blacktop. Also, I found that closing the sunroof shade helped to reduce wind noise a bit. Overall, most people won’t find much to dislike about how the Tucson drives, until they need speedy acceleration only to discover that none exists. At the same time, though, there isn’t anything to rave about, either. If you don’t care about owning a small SUV that’s fun to drive, and you don’t need as much cargo space as you can possibly get, I think the 2019 Hyundai Tucson is well worth consideration. Good looks, high quality, a strong value equation, impressive safety ratings, and numerous thoughtful details make it an excellent choice. Now, if we could just get a turbocharged engine back under the hood. 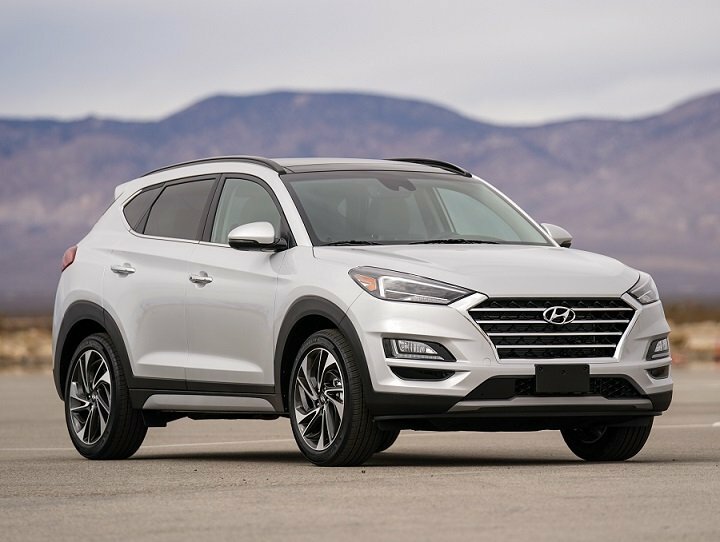 Hyundai Motor America supplied the vehicle used for this 2019 Hyundai Tucson review.